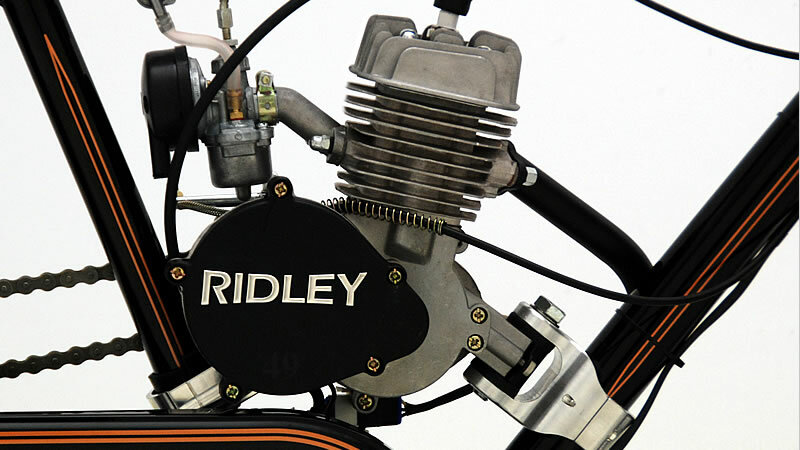 The Model 48 Engine is a 49cc, 2 stroke single cyclinder engine. The simple but efficient engines consistantly offer 120 miles per gallon but are even more efficient when you combine pedal with petrol power. The Model 48 Engine is currently available.